Point2 Homes gives you far more than a simple list of houses for sale. Get instant access to a lot of relevant information about Etobicoke, Toronto, ON real estate, including property descriptions, virtual tours, maps and photos. The search results pages also have a wealth of information on Etobicoke, Toronto, ON, if you scroll all the way down. 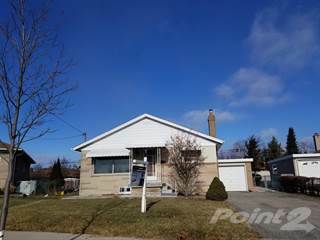 There are 636 houses for sale in Etobicoke, Toronto, ON. 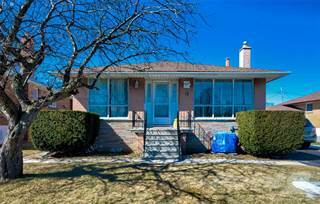 Searching homes for sale in Etobicoke, Toronto, ON has never been more convenient. With Point2 Homes, you can easily browse through Etobicoke, Toronto, ON single family homes for sale, townhomes, condos and commercial properties, and quickly get a general perspective of the real estate prices. Also, you’ll never miss a bargain if you filter listings based on house price drops in the past six months. 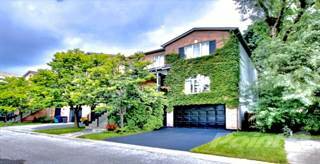 Use the map view to find Etobicoke, Toronto, ON homes and apartments for sale, based on amenities or city features that you may want close by. You can close in on a specific neighbourhood or area by simply drawing around them with the polygon or radius tools. Stay informed about the latest entries on the real estate market by saving your searches. This way, you get new listings in your inbox, daily or every week, based on your preferences. If you’d like to get in touch with a professional, agents are displayed next to their listings, and they’re easy to contact through the online forms. If you want more options, you can click the Tools tab and Find an Agent, and you’ll get a list of helpful and knowledgeable real estate agents in Etobicoke, Toronto, ON. Visit the Point2 Homes blog and you can find up to date expert advice on many markets throughout Canada, regular market reports, neighbourhood scoops in cities throughout the provinces, real estate deals and useful recommendations. S Variety is the spice of life, and something you can definitely find in the neighbourhood of Etobicoke. Arts and entertainment are prominent in the area, with theatres, music venues, and art galleries scattered throughout. Arenas and sports centres provide options for those who are looking for more athletic pursuits. Parks range from small greenspaces in residential areas, to waterside relaxation points, to forested space with walking paths. While it is not the most affordable place in the province to live, it certainly has a lot to offer those who do choose to call it home. Etobicoke is located between Mississauga and Toronto, with its southern section bordering Lake Ontario. It extends from Highway 427 in the west to the Humber River in the east, and from Steeles Avenue W in the north to Lake Ontario in the south. The neighbourhood’s urban areas make it obvious that it is part of the city of Toronto, with tall buildings, shopping centres, massive highways, and multiple public transit options. The abundance of parks and the section of the neighbourhood that is located along the shore of Lake Ontario help to break up the area’s city feel. Etobicoke is a large neighbourhood, and residents can often find multiples of the same entertainment option. For movies, Etobicoke offers the Cineplex Odeon Queensway, with 2 DBOX screens, 5 VIP screens, 2 UltraAVX screens, 20 regular screens, 2 party rooms, an entertainment centre, and a licenced lounge; the Kingsway Theatre, an updated 1939 theatre that features independent and foreign films; and Albion Cinemas, located in a shopping mall and featuring Indian films (Bollywood). For live entertainment, residents can choose from Famous People Players, a dinner theatre featuring a puppet show performed by special-needs puppeteers; the West-Way Dance Club, a dancing venue that offers performances and lessons in various dance styles; Placebo Place, which has live music, art installations, and open jam sessions in a café venue; and The Rockpile Bar and Nightclub, which offers live rock and metal bands. Much like the entertainment scene in Etobicoke, the city has a wide variety of restaurants to explore. LaVinia Restaurant on Lakeshore Boulevard W focuses on Spanish flavours and offers a tapas menu that can be enjoyed in its cheerfully decorated space. The restaurant also provides catering and group bookings. The Victorian Garden Tea Room on Burnhamthorpe Road serves high tea, complete with small sandwiches, desserts, scones, and a variety of tea. The atmosphere is feminine and quaint, with a garden-like theme from walls to serving dishes. Located on Eglinton Avenue W, Prince Japanese Steakhouse provides beautifully presented fare and a Teppanyaki cooking show. Bright and flavourful dishes can be enjoyed in the restaurant’s sleek, simplistic décor. Etobicoke offers mostly single-family detached homes and apartment buildings,along with other dwelling types.The average price for single-detached homes in the area is $569,132, which is slightlyhigherthan the average price for single-detachedhomes in Ontario overall($518,000). The population of Etobicoke is 365,143, and this has remained fairly steady for the past 15 years. Families make up 23% of the population here, 40% are couples, and 37% are single. The average annual income is $100,675, which is significantly higher than the average annual income in the province as a whole, and 58% of residents are university or college educated. Air pollution can be a concern in Etobicoke, since it is part of the large city of Toronto and is close to major roadways. Toronto officials issue alerts when air quality is lowered due to air pollution. Noise can be problematic in areas close to highways or commercial hubs. Etobicoke is considered one of the safer neighbourhoods in the Greater Toronto Area, with the most common types of crime being robbery, breaking and entering, and assault. Crime rates in the neighbourhood have been decreasing for many types of crime. Schools in Etobicoke are operated by four school boards: the Toronto District School Board (English secular public schools), the Toronto Catholic District School Board (English Catholic public schools), the Conseil scolaire Viamonde (French secular public schools), and the Conseil scolaire de district catholique Centre-Sud (French Catholic public schools).Examples of primary and secondary schools in the area include Albion Heights, Bloordale, Braeburn, Elmlea, Burnhamthorpe Collegiate Institute, Central Etobicoke High School, and École élémentaire Félix-Leclerc. Etobicoke offers several post-secondary options, including Humber College (programs in accounting, communications, technology, trades, and healthcare); Academy of Learning College (programs in business, hospitality, healthcare, and information technology); Canadian College of Business, Science & Technology – Etobicoke; and University of Guelph-Humber (programs in business, law, social services, and media). The Toronto Transit Commission has many bus routes running throughout the neighbourhood, including express buses that run during busy periods. Etobicoke also has the Bloor-Danforth subway line running through it, which provides passengers with access to the city’s other subway lines. GO Transit operates trains that run through Etobicoke on the Kitchener, Milton, and Lakeshore West lines. Parks are a prominent part of the Etobicoke neighbourhood, and include West Humber Parkland, with a picnic area, soccer fields, playgrounds, trailheads for the Humber Recreational Trail system, and wildlife and bird viewing opportunities; the Humber Arboretum, featuring 250 acres of gardens, natural areas, and walking trails along the Humber River; West Deane Park, which has allotment gardens, baseball diamonds, playgrounds, a picnic area, walking trails, tennis courts, an outdoor pool, and an artificial ice rink; andHumber Bay Park West, with an off-leash dog park area, walking paths, manicured grass areas, and birdwatching opportunities along the shore of Lake Ontario. It is easy to live an active lifestyle in Etobicoke, since the city provides so many options for recreation. The Long Branch Arena offers skating lessons and public skate times for people of all ages, and is available for private bookings. Westwood Arena has hockey leagues for all ages, ice rental opportunities, an onsite sports pub, and a pro shop. The Ken Cox Community Centre is a great location that provides registered programs in sports, art, and music, with a dance studio, a gymnasium, and multipurpose rooms. Ourland Community Centre is a smaller facility that provides drop-in sports programs, some registered sports programs, and day camps for kids. Read more about living in Toronto, ON.